Ali Hepher says it’s imperative his Exeter Chiefs side continue to move forward if they are to maintain their position as one of the leading club sides within the English and European game. Three successive Premiership Final appearances, plus collecting the Anglo-Welsh Cup for a second time last season, have underlined the growth of the Devon club in recent times, but head coach Hepher says no-one at Sandy Park can afford to standstill in terms of their development. 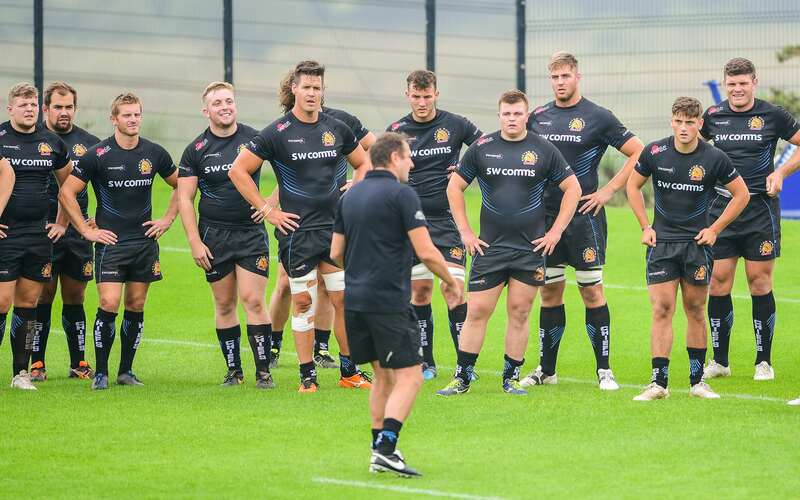 With the 2018/19 season looming large on the horizon, the Chiefs are well entrenched into their pre-season planning and have been working tirelessly at not only their fitness and conditioning, but new elements of their game plan to ensure they are fully up and running for their seasonal opener against Leicester Tigers at Sandy Park on September 1. Hepher is at the heart of that planning and he admits he’s been encouraged by what he’s seen from the Chiefs squad so far.The proof, however, remains in the pudding and it will be in the upcoming pre-season fixtures where he can truly gauge how things are shaping up. The Chiefs kick-off their pre-season programme with a trip to the Cornish Pirates on Friday, August 17, before entertaining Cardiff Blues a day later on Saturday, August 18. Exeter’s final test comes on Friday, August 24 when they make the trip across the Irish Sea to tackle Munster, who incidentally are one their rivals in this season’s European Champions Cup pool. “We’ve had some good brainstorming sessions and we have come up with some new ideas,” explained Hepher. “You have got to move forward, because if you stand still, it is pretty obvious you are going to fall behind. “We have got lots of new ideas and things are shaping up really nicely. The guys are getting through a lot of hard work and putting in that foundation ready to attack the season. The conditioners, as ever, have been driving that right from the start. And among those to have shown up well during recent training are a number of the Chiefs squad who missed out on the dying embers of last season either through injury or selection. Like Director of Rugby Rob Baxter has muted previously, Hepher says they are helping to drive standards for excellence this season. “Most of the guys in the squad have now had the experience of playing in a Premiership final, some of both winning and losing one. There are a few guys who were unlucky with injuries and that missed out quite a bit last season - or maybe missed out on selection towards the end of the season, with points to prove, so have come in firing and they will naturally drive things. And although recruitment has been relatively quiet within Sandy Park, Hepher is excited about working with new signing Alex Cuthbert, who has joined their summer from Cardiff Blues. “Alex is an exciting prospect and brings size, pace and a real competitive spirit, which will be fantastic,” added Hepher. “I’m sure he will add competition to the wing spot, which is a tough spot anyway to get into.Equally, Santi [Cordero] has really kicked on through having a good pre-season.